In order to utilize TLC on-call services, please submit a completed membership registration form and agreement for services. Upon receipt, the TLC office will charge an initial $100 membership fee to your credit card. All additional agency fees will be charged to this card. In order to keep membership current, TLC requires an annual renewal fee of $55. Will any family members be present during care? By entering your credit card number below you authorize TLC For Kids to charge an annual membership fee along with any additional fees for services provided by TLC For Kids. Please note we accept Mastercard, Visa, Discover or AMEX only. Please update TLC regularly with new children, addresses, phone numbers, credit card numbers and pets. How did you hear about TLC? Please be specific! If it is a friend, please tell us who so they can get a TLC credit. 1. 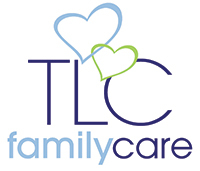 TLC Family Care (“TLC”) agrees to make its best effort to arrange as-needed temporary in-home service providers (nannies, sitters, companions, tutors, sleep coaches, and other household assistants) (“caregivers”) upon request by the below-signed party (“client”). • $14/hr. (1-3 kids) and $1/hr. per additional child (MO, IL). • $15/hr. (1-3 kids) and $1/hr. per additional child (FL, GA). • $18-$28/hr. (Newborn care, all regions). • $15/hr. (Senior care, all regions). • $30.00 per caregiver visit (overnights (7 hour min. ), 'around the clock' care, & newborn care (under 3 months of age)). 3. Client understands that the non-refundable agency reservation fee will be charged to client’s credit card upon TLC’s confirming client’s reservation for a caregiver. 4. If client cancels a confirmed reservation within 24 hours of the scheduled visit, client will be charged for four hours of the caregiver’s time in addition to the agency reservation fee. 5. Client understands that the services provided by all TLC Caregivers must be contracted through the TLC office. Client further understands that the use of a caregiver introduced to you through TLC or any of its caregivers or the referral of a TLC Caregiver to a third party, without arranging the visit through TLC, is considered “theft of services” and will result in a charge of $1,800 in liquidated damages. 6. In the event that client wishes to hire a temporary caregiver on a permanent basis, TLC agrees to negotiate with client in arriving at an acceptable placement fee. TLC’s standard placement fee for a permanent caregiver (“Nanny”) is 10% of the Nanny’s projected gross annual compensation, with a minimum of $1,500 for a part-time Nanny (under 35 hours per week) and a minimum of $2,500 for a full-time Nanny (35 or more hours per week). 7. Client understands that TLC caregivers are not employees of TLC. Client understands that client may be responsible for withholding and filing employment taxes for each calendar year in which the caregiver’s payments exceed the limits set forth in the Internal Revenue Code. Social Security numbers of caregivers must be obtained directly from caregivers. 8. Client understands that TLC Caregivers are not permitted to supervise children in a swimming pool unless a written waiver is executed with the TLC office. Client further understands that pool and beach activities are allowed at their own risk. TLC accepts no liability for children in the pool or on the beach. 9. Client agrees to indemnify, release and hold harmless TLC, its agents, employees and officers for any and all claims relating to or arising out of the services provided by caregivers. I hereby give my consent for a TLC Caregiver to provide transportation for my dependent(s) in her or my automobile. I agree to pay a gas stipend if distance driven exceeds 5 miles. I understand that Caregivers with TLC are not employees of TLC and that TLC is making no representation or warranties to the Caregiver's suitability to transport my dependent(s). TLC is in no way responsible for the safety of my dependent(s) while being transported in Caregiver's or my family’s automobile. I agree to indemnify, release and hold harmless TLC, its agents, employees and officers for any and all claims including injury to Client’s car or dependent(s) while being transported by a TLC Caregiver. I understand and agree to the above transportation waiver. I do NOT agree to the above transportation waiver. I hereby give my consent for a TLC Caregiver to administer medication to my dependent(s). I understand that Caregivers with TLC are not medically trained. I agree to indemnify, release and hold harmless TLC, its agents, employees and officers for any and all claims relating to a Caregivers administering of medication to my dependent(s). I understand and agree to the above medication waiver. I do NOT agree to the above medication waiver.